Welcome to another week of Travel Photo Thursday. We’ve been on holiday here all week and I have no idea where the time went. I have classes today, and the weekend begins this afternoon. This weekend it’s off to the Andong Mask Dance Festival; can’t wait. Yesterday I celebrated a friend’s birthday, and it made me think about two things. First, the year is quickly coming to a close, and secondly, that means we will soon leave the year of the dragon behind us. 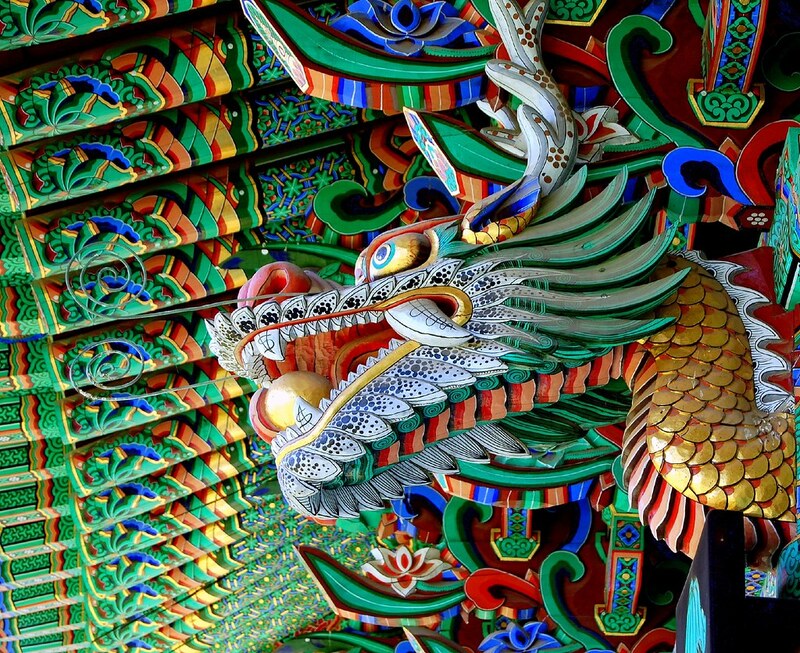 Wherever you go in Asia you can almost be guaranteed to find a colorful dragon or two. 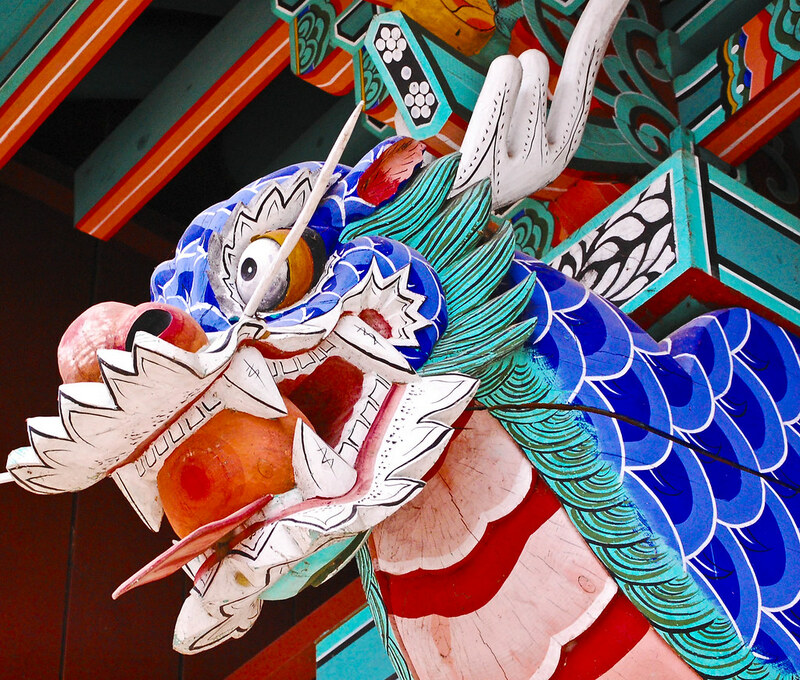 Today I am going to share a couple of the beautiful dragon shots I have taken over the years during my Asian travels.
. The Twitter hash tag for Travel Photo Thursday is #TPThursday. Even though I wasn’t born in the year of the dragon, (I’m a sheep/goat), they do fascinate me. What’s your astrological year? I love the different colours you have captured Nancie. I’d never tire of seeing dragons if I lived in Asia. Is this because I was born in the year of the dragon and my birthday date is the same as St George’s..of dragon fame! Double dragons! I’m the year of the rooster but I don’t think I have a single rooster photograph to my name. I love the colour and detail in your dragon shots! The middle one is my favourite. 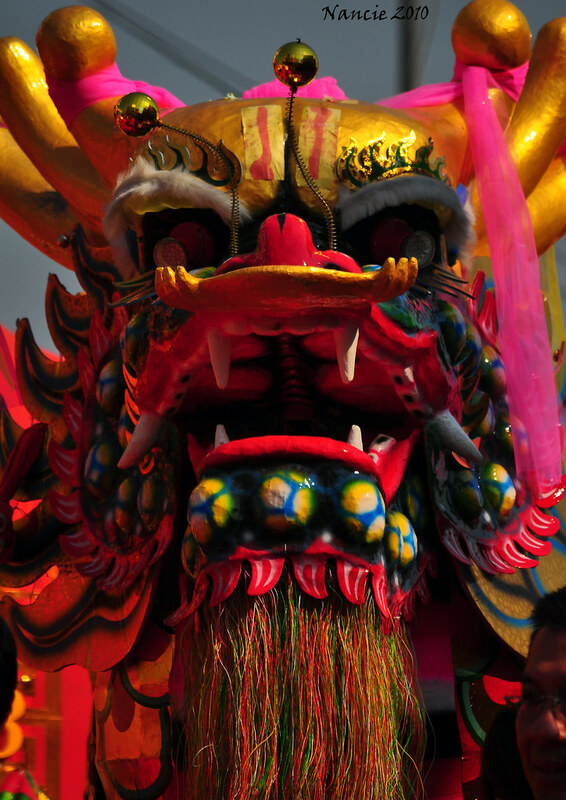 Chiang Mai’s New Year Dragon – what a wonderful photo – I believe he could breathe fire. Thanks for hosting TPThursday. Hi I am back again. Forgot to tell you I am a Goat, which suits me fine because I love goats. My grandmother had a herd of goats which I used to help mild, feed and round up. 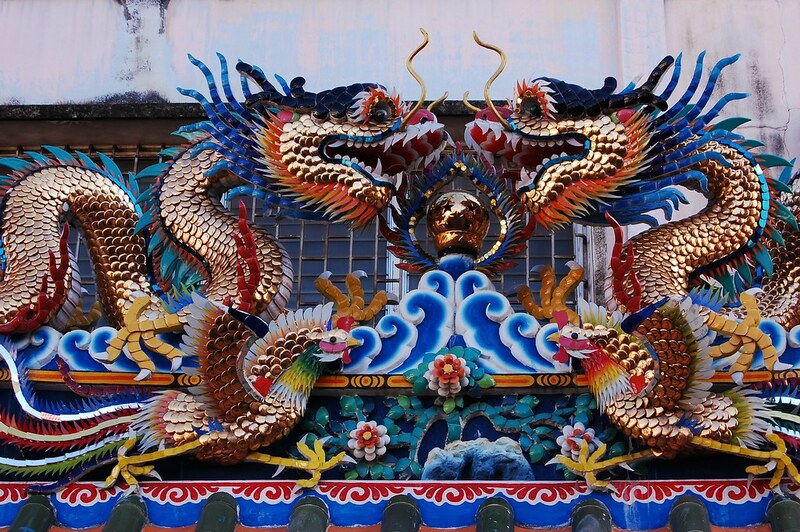 Love the pics – the colours of the dragons are so unbelievably vivid! I was born in the year of the Horse – not sure what that means. Happy Thanksgiving!! Awesome photos! It seems like you are having a nice shots on that following dragons and they look so nice. Love it very much. Beautiful pictures! Those colors are amazing. I love the last picture with all the green. Beautiful photos again Nancie. We are in Milan, Italy today, starting our travels and it is always fun trying to figure out ‘the day’ meaning when is it Travel Photo Thursday. I usually post on Wednesday evening but realized that was way off based on where I was. Oh, I love travel for the mind-mixups it causes. What a fortunate person you are to have such a fantastic trip. It is really magnificent. Keep traveling! And keep writing! I’m a Dog! This always gets me teased when we’re sitting at a Chinese restaurant in America with those Zodiac placemats. The Nun’s Temple dragon is gorgeous. I love the multitude of colors and details. Great shots with those wonderful, vibrant colours and intricate designs!! Not something I get to see very often downunder in OZ!! I’m a tiger – that’s a lot to live up to!! Love your wonderful photos with such vibrant colours and intricate designs – not often seen downunder in OZ! Hi Mary! That is exactly what draws me to the dragons, the amazing colors. What awesome-looking dragons! I love watching dragon dance shows every Chinese New Year! I love your Dragon photos! Gorgeous dragons, Nancie. We are big dragon fans and I loved the fact that you can find them everywhere in Asia. I have lots of dragon pictures too, because they are so fun to shoot. However, I’m a tiger and I don’t know that I have any tiger pictures. . . hmmm. . . maybe I need to go out in search of some! The Asian continent is simply fascinating. I look forward to returning in a couple of years to introduce my daughter to her heritage. Gorgeous photos. I’m a dragon and a tauraus which is great because it means that I’m always right. Love the pictures! Look at that fierce dragon. Nice photos, they looked brilliant. Love the photos and the dragons, although I’m not a dragon but a rooster  These are so colorful and beautiful! As always, your vibrant colorful photos bring it all to life. Amazingly colourful.. I particularly like that first shot. Does the use of so much vibrant colour symbolise something? I always thought of dragons as rather dark and scary but these seem more cheerful! The mask festival sounds intrigung… look forward to seeing some pics of that. the colors in asian are are so alive and fanciful and amazing. I really love it. I love the last dragon. The colors and details in the design are great! Asian temples are fantastic, they lured me in every time I went past, I love the atmosphere, the fact that I don’t understand the symbols and seeing that people who go pray there do actually understand them. It’s a whole new universe, I would love to go deeper inside. (I’m late seeing this as I got busy last week). I have always loved Chinese dragons–now I’ll have to start calling them Asian and not give all the credit to the Chinese. These are absolutely gorgeous. Really puts you in a festive mood, despite the ferociousness.